Fluffy fluffy, crispy, crispy, watch them smile! Sweets and cooking No. 1! Sticky and moist, here comes the fun! Breads are No. 2! Soft and wet, chewy, doughy eat them for power! Noodles are No. 3! Rice flour! Rice flour! Rice flour! 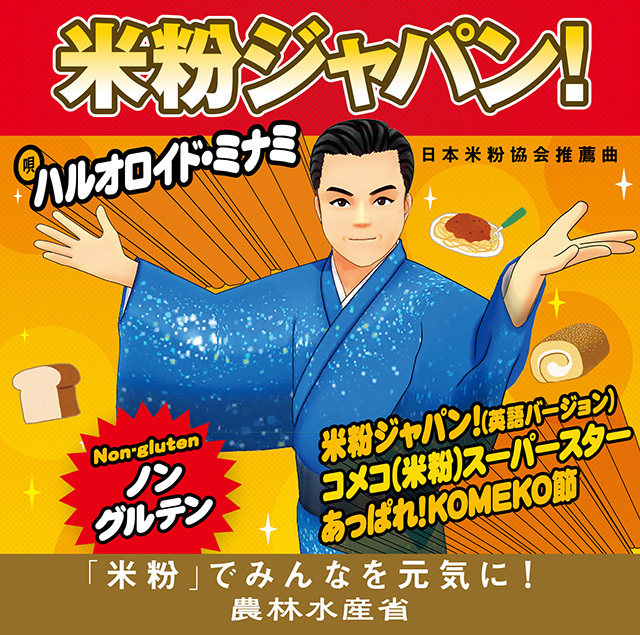 KOMEKO JAPAN! Welcome to the world stage, KOMEKO JAPAN! © 日本米粉協会 All Rights Reserved.